We’ve done quite apple tree activities over the last few years. 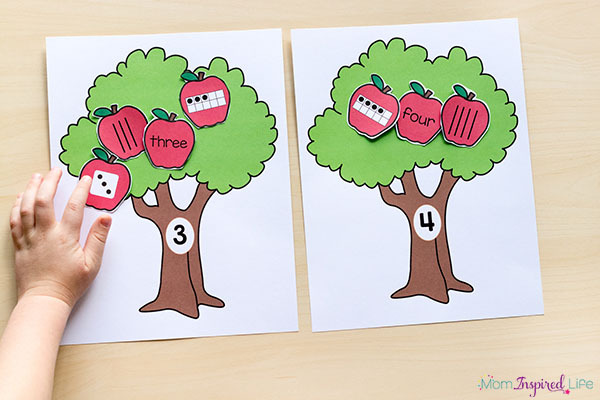 This apple tree letter matching activity is still one of my most popular posts on Pinterest (I also made a printable letter matching apple tree) and this apple tree numbers game is also well-loved. 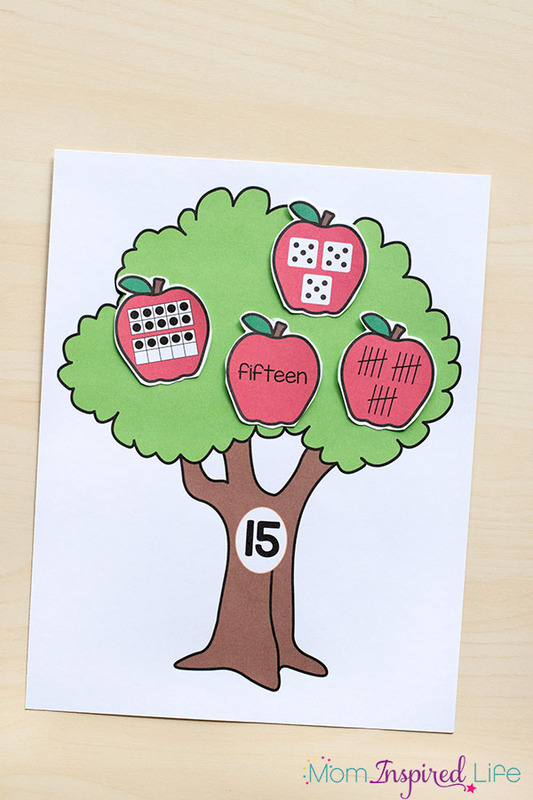 But… this apple tree number sense activity is one my new faves! It was great practice for my son who just started first grade, but it was also a nice way to introduce my 4-year-old daughter to small numbers. I love that I can differentiate it for both kids. 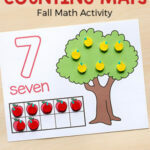 While doing this apple tree number sense activity, children will learn numbers and their different representations. 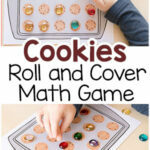 This is a good way for young children to visualize numbers and make sense of what numbers mean. 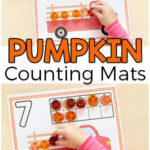 Print out all of the number mats you would like to use. 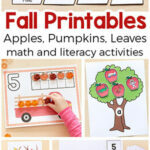 Then print the corresponding apples. Cut out the apples. You can just cut on the lines (for ease) or go around the apples like I did. Either way works fine. If you want them to be used by many children, I would suggest laminating them so that they last. 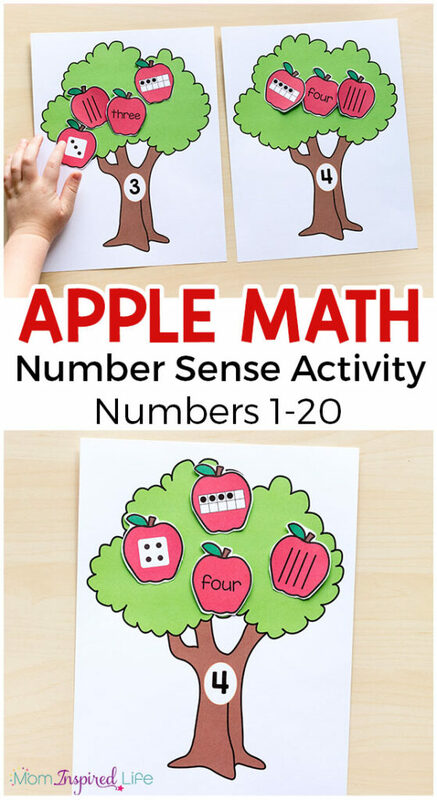 Now the apple tree number sense activity is ready to be used. 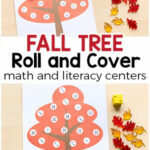 This activity is perfect for fall math centers, homeschool lessons, or just for reinforcement at home. 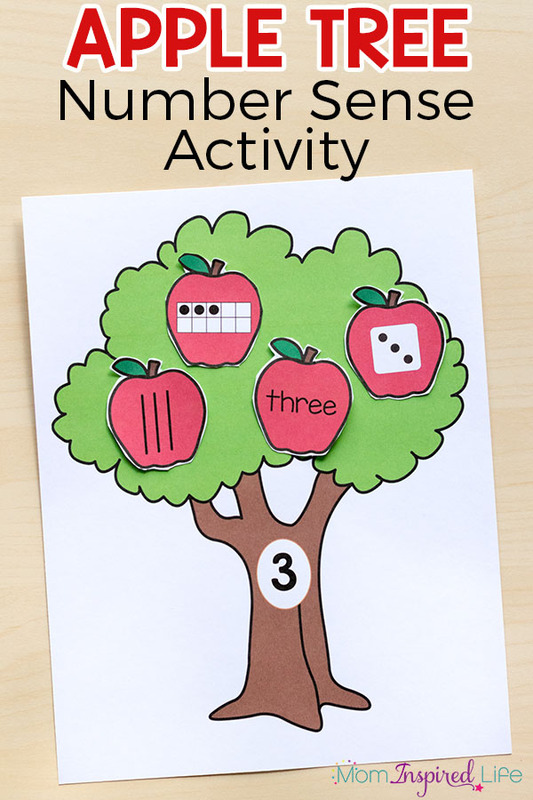 Check out my other printable apple activities below!